I was commissioned to make an 'interactive' exhibition developed out of a previous body of work. 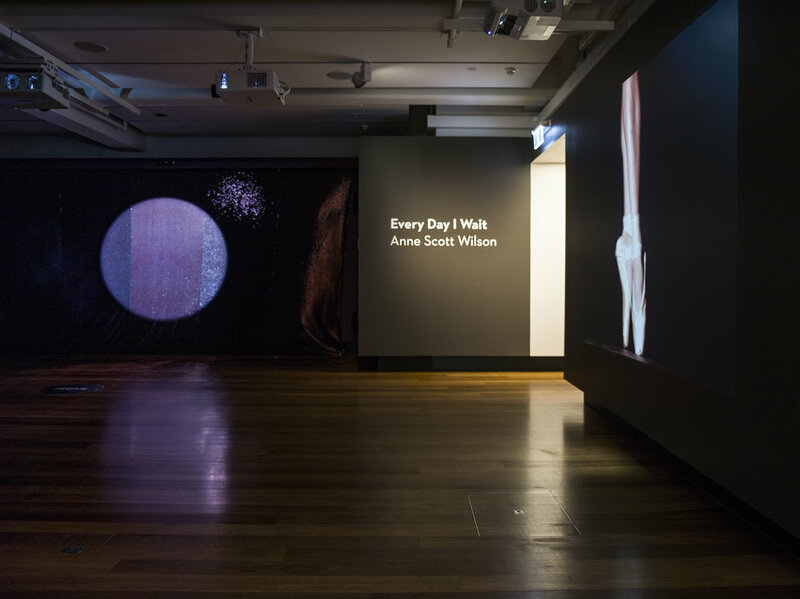 Having performed as a ‘willi’ and a ‘deceased spirit’ in the Queensland Ballet Company (corps de ballet), I identify with its strange form with life in the 21st century. As a child, I had complete faith in its implicit promise of transportation to weightless limitless realms. I performed in romantic narratives, created in the late 19th century, contextualised in culture and tropical conditions of Queensland circa 1970’s. Following a passionate desire to exist beyond the physical, I committed to years of training. As an artist, I think back to those times and ballet as an anachronistic conundrum, seductive yet elusive. With this in mind, I worked with a coding practitioner and a motion capture camera to define rules of engagement aiming to create a sense of weightlessness for a viewer. As distinct from momentary real-time interaction common in video gaming, this work seeks to engage a viewer for longer stretches of time to feel what it's like to dance by identifying with weightlessness by moving a swarm of butterflies over a sequinned screen through slow dancing (motion capture camera). 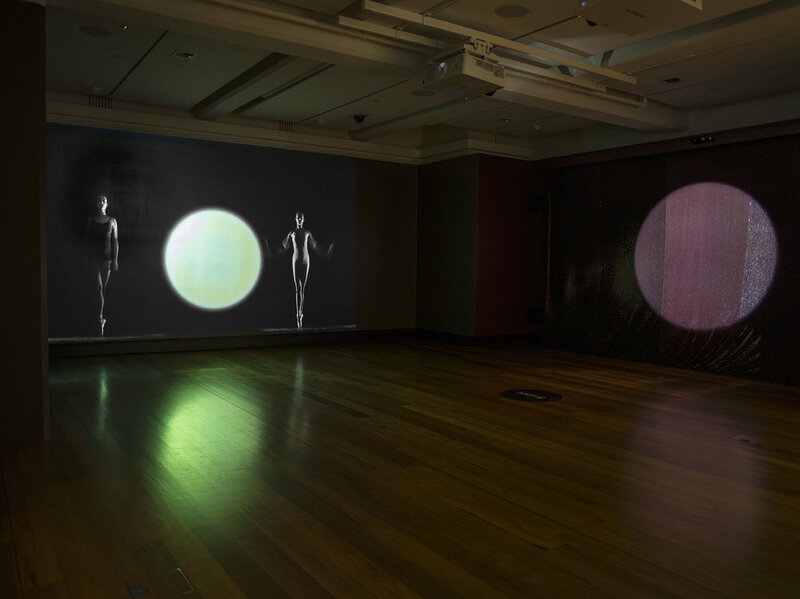 At the same time, another screen depicts rigorous and often painful ballet moves that are training for ‘transcendence.’ Materialised in sounds (and image) of wood against wood – the point shoe against the stage floor, the ballet dancer ‘stays on point for as long as possible.’ On another wall, a pure shadow play for children is facilitated through a new iteration of 'Wet Motion' 2010, 'Glide' 2013. A spotlight holds the child’s shadow flanked by the ballet dancer, Lisa Bolte who adlibs a contemporary Dying Swan, her figure lit to reveal and conceal her movements. The work is meant to engage children in ballet as an idea, a feeling of elevation and a sense of agency.